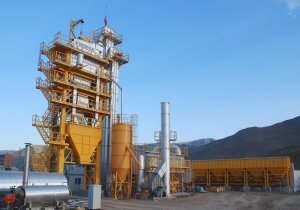 200 tons/hour capacity SIGMA asphalt plant has produced over 1 million tons of asphalt so far, without any part replacement. The plant was commissioned in 2009 in Mus / Turkey. The asphalt produced by the plant has been used in many projects in the region including Mus Airport project. After 5 years of heavy duty, the plant is still in perfect condition and producing perfectly homogenous mixtures. Even the wear parts such as dryer pallets and mixer pallets are in very good condition and do not need replacement. This proves the high quality of components used in SIGMA asphalt plants. This was the first SIGMA plant our customer had purchased. After seeing the performance and quality of our asphalt plants, the customer purchased 3 more SIGMA plants with 240 tons/hour capacity each.